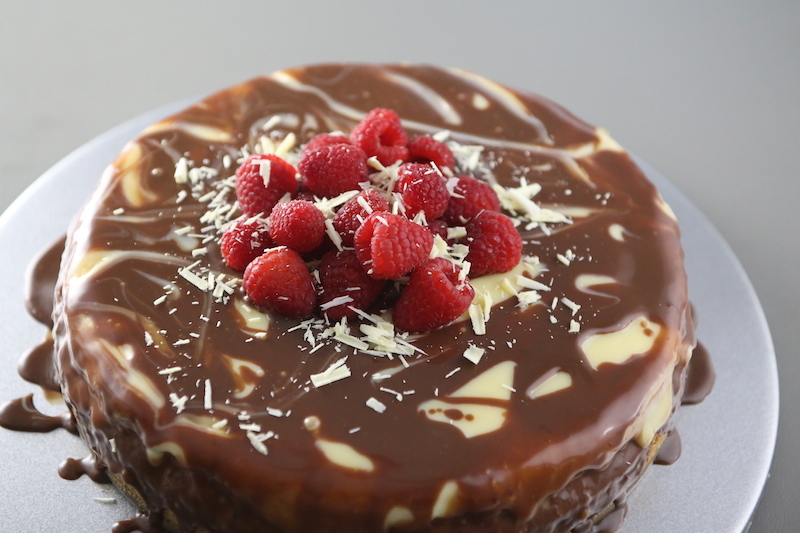 White & Milk chocolate are poured over a silky soft cheesecake and topped with fresh raspberries, making one luscious Chocolate Raspberry Cheesecake! This is probably one of the silkiest cheesecakes that I have yet made. It’s creamy texture reminds me somewhat of a Cheesecake Factory slice! And the raspberries give a berry boost of flavor to the chocolate, which pair so amazing together! I highly recommend making this dessert. 1. Preheat oven to 325 degrees F. Place a small baking dish filled with hot water about half way full onto the bottom rack of the oven. 2. 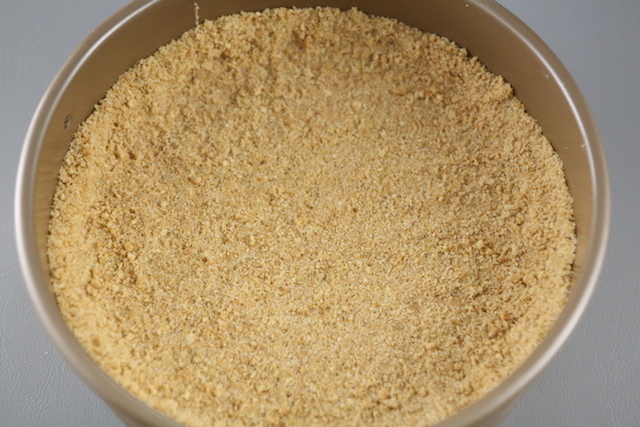 In the bottom of a springform pan, combine the crust mixture spreading the mixture evenly over the bottom and going up the sides. Bake crust for 8 minutes and then remove. 4. Add in the cornstarch and sugar and mix until incorporated. Then beat in the egg and beat just until combined. 5. 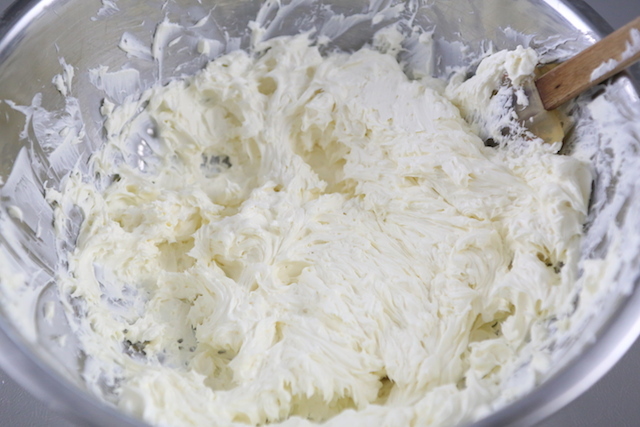 Add in the sour cream, vanilla extract and heavy cream and beat until combined. 7. 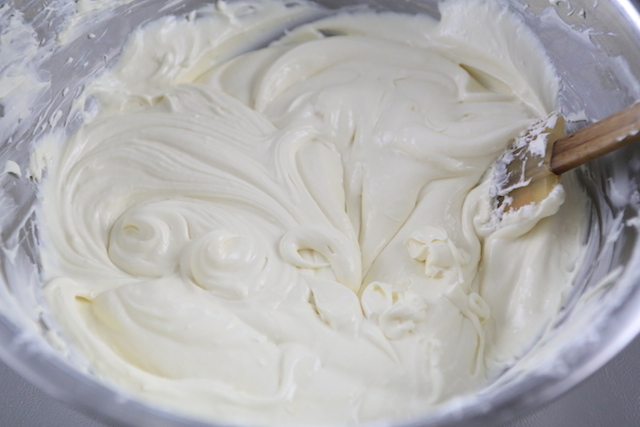 To Make Ganache: Break up the white chocolate and place into a bowl. Place the milk chocolate morsels into a separate bowl. Pour 1/4 cup of HOT heavy cream over the chocolates and allow to sit for 1 minute. Then stir until smooth. 8. 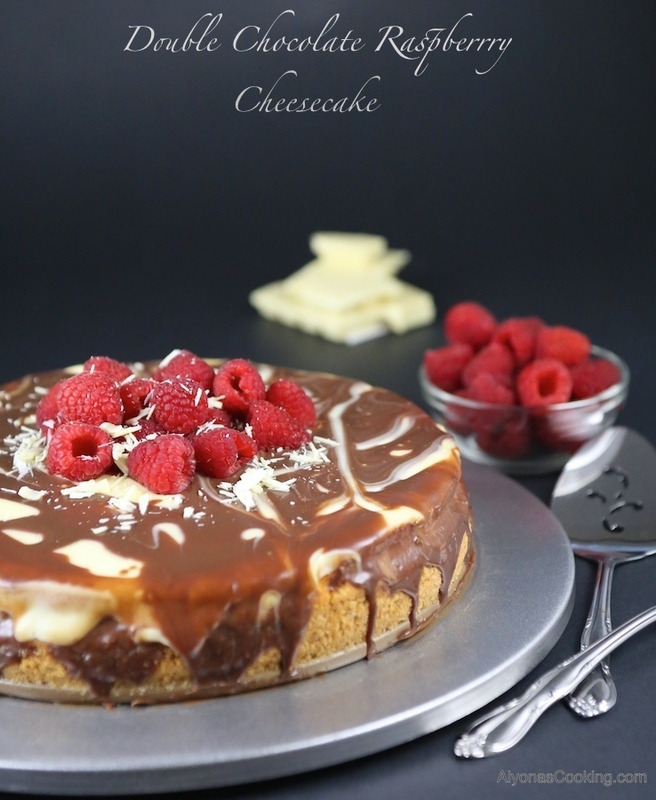 Pour the White chocolate ganache over the cheesecake followed by the milk chocolate. Refrigerate for about 10 minus for the chocolate to set before garnishing with fresh berries. 9. Refrigerate for at least 6 hours before serving. 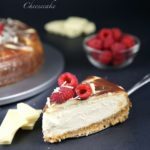 White & Milk chocolate are poured over a silky soft cheesecake and topped with fresh raspberries, making one luscious Chocolate Raspberry Cheesecake! Preheat oven to 325 degrees F. Place a small baking dish filled with hot water about half way full onto the bottom rack of the oven. 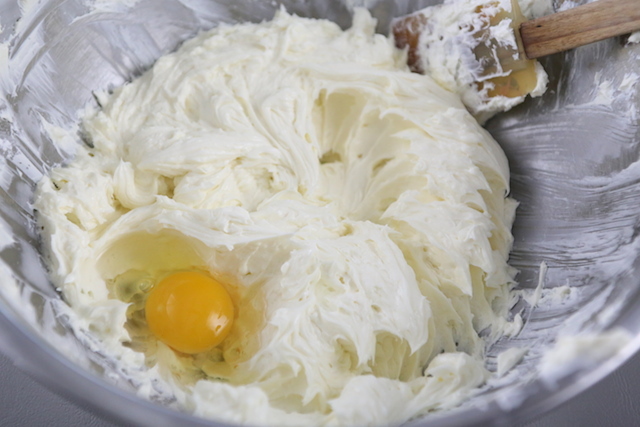 In the bottom of a springform pan, combine the crust mixture spreading the mixture evenly over the bottom and going up the sides. Bake crust for 8 minutes and then remove. Add in the cornstarch and sugar and mix until incorporated. Then beat in the egg and beat just until combined. Add in the sour cream, vanilla extract and heavy cream and beat until combined. 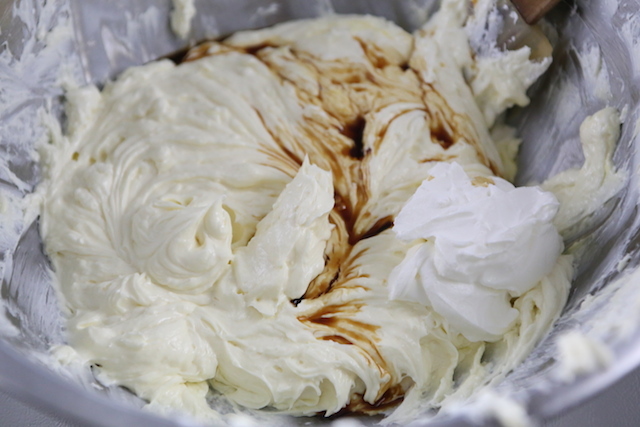 TO MAKE GANACHE: Break up the white chocolate and place into a bowl. Place the milk chocolate morsels into a separate bowl. Pour 1/4 cup of HOT heavy cream over the chocolates and allow to sit for 1 minute. Then stir until smooth. 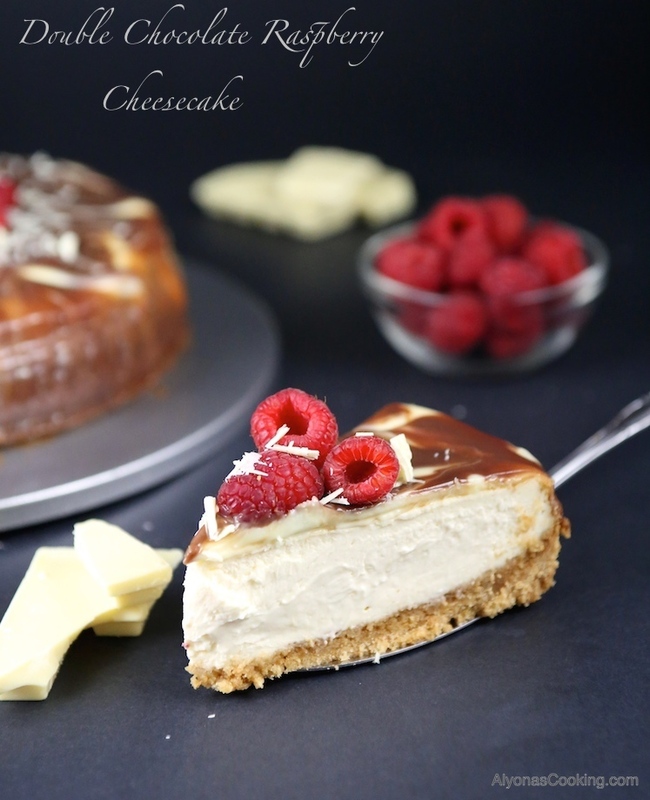 Pour the White chocolate ganache over the cheesecake followed by the milk chocolate. 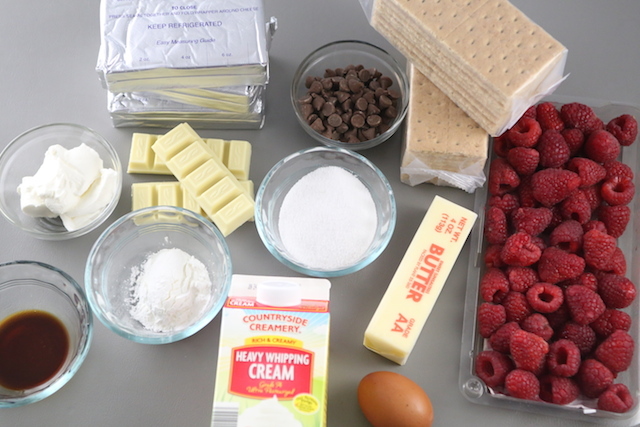 Refrigerate for about 10 minutes for the chocolate to set before garnishing with fresh berries. Refrigerate for at least 6 hours before serving. Question, do u wrap the spring pan with foil? And what size is the pan? Hi Anna, I have used both 8 and 9″ springform pans so its a matter of how high you would like your cheesecake to be (the smaller the higher it should be.) I think I used a standard 9″ one in the photo. 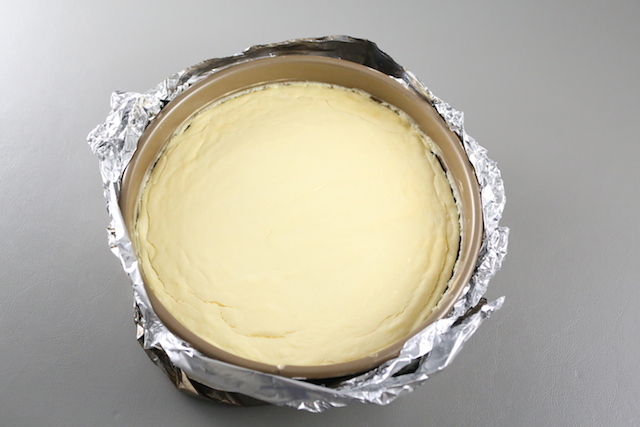 And you do not need to wrap foil around the pan if you arn’t baking it in water (I don’t recommend that method, have had a wet crust) but I did place a pan of water onto the bottom rack while the cheesecake was baking. Let me know how it turns out for you. Thank you now I got it 🙂 btw I used Graham cracker crumb crust and still added 1/3 cup sugar. I didn’t even think that it’s already ready the way it is.. now I’m worried it might be too sweet, since you added crackers that aren’t that sweet. What should I do? Should I add less sugar to the cream? I wouldn’t reduce the sugar to the filling too much, perhaps a few tbsps. The filling doesn’t ask for too much sugar so I wouldn’t be overly concerned. Tanya, I’m so sorry I thought you were referring to the heavy cream for the batter. But for the ganache you do need hot cream to melt the chocolate. Just microwave the cream for about 2 minutes until it reaches a hot temperature and pour over the chocolates, let it sit and then stir. Let me know how it turns out. It just says pour HOT heavy cream. So what does that mean exactly? I just never used hot heavy cream usually super cold. How do you make heavy cream hot? Just heat it up in a bowl? Tanya, you don’t need to heat the heavy cream for this cheesecake. You would just pour it in as directed in the instructions.